You may know I have a penchant for heat embossing and using a very limited colour pallet, allowing the stamps to speak for themselves. I have had my new Stampin Up! order today, and one of the stamp sets I bought is “Today and Every Day” a lovely set which includes Russian Dolls and Chinese Lanterns. I love the lanterns and wanted to have a play. Firstly of all, I made a cover for some sticky notes I have on my desk. I heat embossed the design with white powder on to white card and then sponged three colours over the top, starting with the palest. This can be done with any colour pallet you choose, but I used Crushed Curry, Tangerine Tango and Primrose Petals. I added three candy dots for a little texture and additional colour. 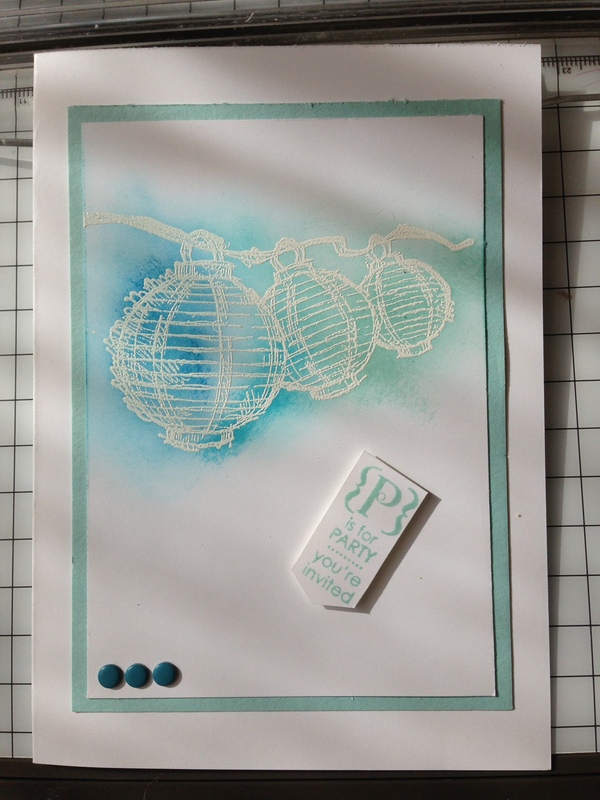 Not content with that, I made a card using the same stamp but in shades of blue. Again heat embossed white on white, but this time I sponged Pool Party, Costal Cabana and Pacific Point. Again, I added some candy dots (I can see them becoming my new best friend) and added a sentiment from the Occasions Alphabet set. 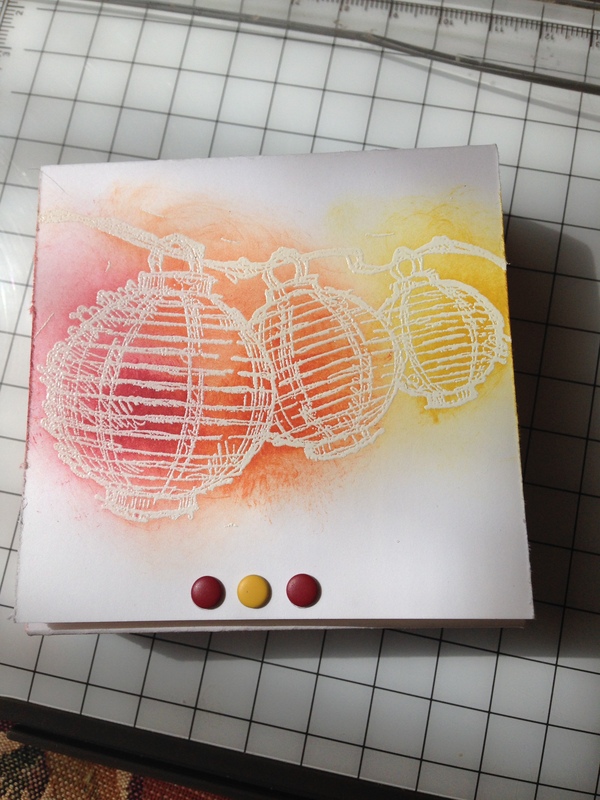 I really love this stamp set, it is simple and fun.